Government is working on restoring with "suitable modifications" the controversial Section 66A of Information Technology Act which the Supreme Court struck down in March. The Ministry of Home Affairs has formed a panel headed by former Law Secretary, Law Commission and Secretary General Lok Sabha, T K Vishwanathan to examine the implications of the Apex Court judgement and “suggest restoring of 66A of Information Technology Act 2000 with suitable modifications and safeguards to make it fully compatible with constitutional provisions”, Telecom Minister Ravi Shankar Prasad said in a written reply to Rajya Sabha, as quoted by The Economic Times. The MHA has asked the panel to put forward alternate legal measures to avoid the possible misuse of social media in the interest of National Security and maintenance of public order. 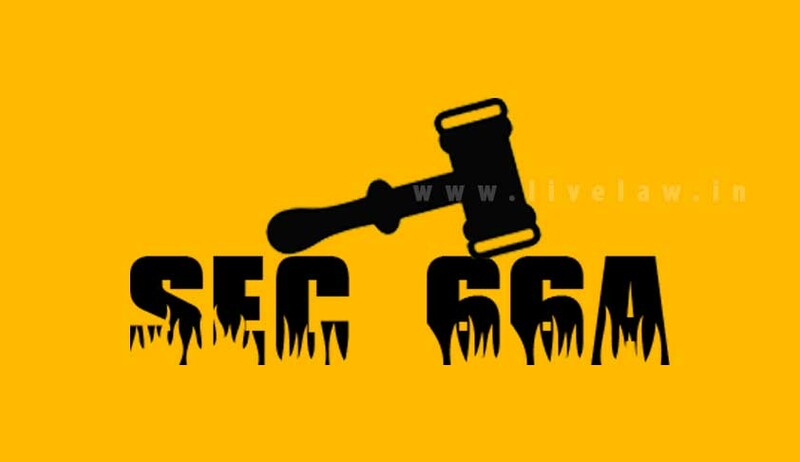 Section 66A of the Information Technology Act is unconstitutional in its entirety, the Supreme Court ruled on March 24th 2015 striking down a “draconian” provision that had led to the arrests of many people for posting content deemed to be “allegedly objectionable” on the Internet. Read the full judgement here. “It is clear that Section 66A arbitrarily, excessively and disproportionately invades the right of free speech and upsets the balance between such right and the reasonable restrictions that may be imposed on such right,” a Bench of Justices J. Chelameswar and Rohinton F. Nariman added. The definition of offences under the provision was “open-ended and undefined”, it said. Terming Section 66A of the Information Technology Act “unconstitutional”, the Apex Court said it has a "chilling effect" on freedom of speech and expression. The issue becomes important as many people have been arrested for posting cartoons of politicians or criticising them when the act was in force. The Apex Court had rejected appeal to strike down section 69A of IT Act that gives the government power to block websites or any information that can be accessed through any computer in the interest of sovereignty and integrity of India, defence of nation and so on. Read more on Section 66A of the IT Act here.